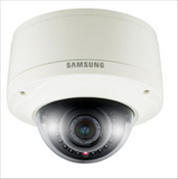 The Samsung SNV-5080R is a high performance vandal resistant dome camera featuring built-in IR LEDs making it suitable for use in the most demanding applications. With H.264 compression and HD megapixel output (720p) it is capable of illuminating subjects up to 50ft from the camera in order to provide bandwidth-friendly, high resolution images both during the day and at night. 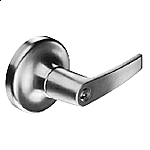 Encased in a tough vandal resistant housing and weatherproof to IP66, the SNV-5080R is suitable for installation both indoors and outdoors and built to last.